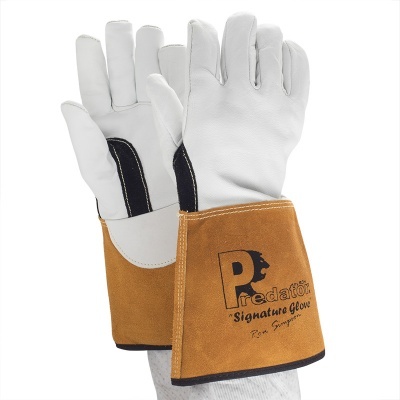 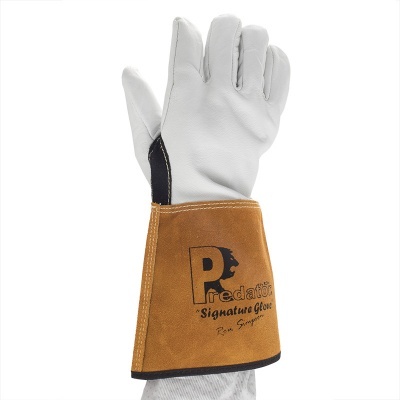 Designed specifically for Tungsten Inert Gas (TIG) welding, the Predator Signature Goat Leather Tig Welding Gauntlets PRED6-G are manufactured from high-quality goat hide leather, with a cotton liner, and stitched using Twaron aramid heat-resistant fibre to produce a glove that provides finger sensitivity with adequate protection against contact heat and abrasion. 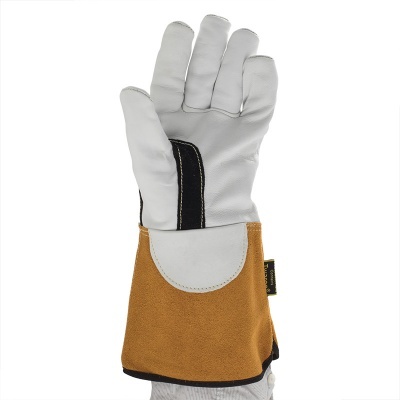 In addition to Tig welding, these flexible and comfortable gauntlets can also be used for agriculture, gardening and metal handling. These gloves are available in Size 10 only. 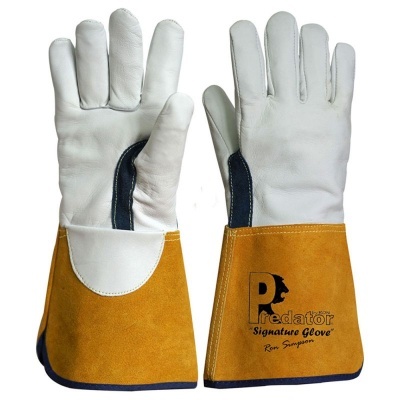 To determine whether this is the right size, please measure the circumference of your hand around the knuckles (excluding the thumb) with your hand open and your fingers together, and the length of your hand from the tip of your middle finger to your wrist.